Living and working in Kuala Lumpur where the jams are massive, I leave the house at 7am and only get home at 8pm, by which time I’m too tired to do anything other than tuck into takeout. Making a proper home-cooked meal is a luxury I can only afford on weekends. 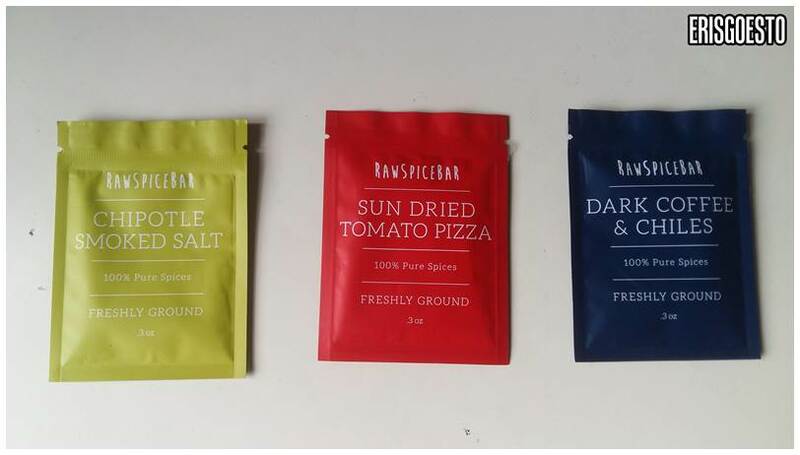 Enter Raw Spice Bar, an online store that specializes in convenient, freshly ground spice packets. Every month, they feature three different blends from different regions. 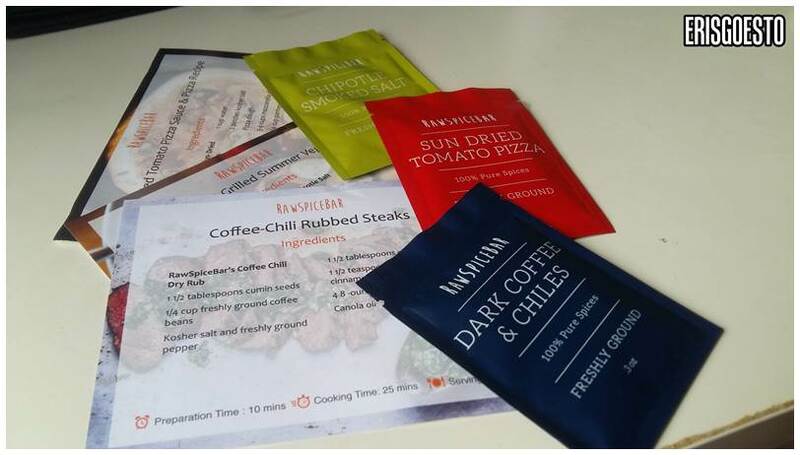 For my September 2016 box, there was Chipotle Smoked Salt, Sun Dried Tomato Pizza and Dark Coffee and Chiles. Each flavour kit comes with helpful recipes to try them out with, so you don’t even have to crack your head to think about what goes best with the spices. The recipes are good for three to four people. A year’s subscription costs 6$ per kit or roughly RM24 per month.